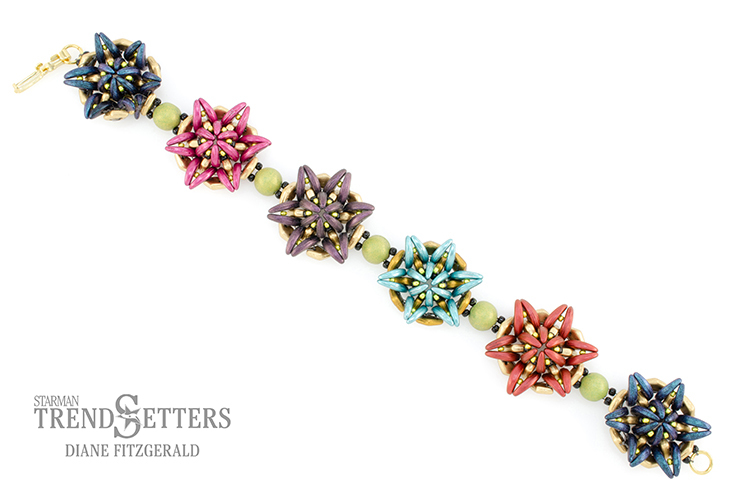 CzechMates® Diamond™ and Crescent™ two-hole beads pair nicely to achieve three-dimensional, versatile flower components in this attractive bracelet. Bracelet as instructed measures approximately 7 3/8" before clasp. Minor adjustments to length can be made with seed beads between flowers.